I dont understand any words but I can hear that her voice is indeed really good! Soo cold in Minnesota. -60 windchill burr... I'm working from home all week. School are close, almost every business close early. .its that bad. I saw in the news, they say some parts are colder than Antarctica ! Stay safe and keep warm. Oh no, isn't he still young? That's shocking. Condolences to his family. I believe he's 49. Still young. Yea its shock the whole thai entertainment. Happy anniversary spicy!!. I'm one of the oldies lol. No matter how busy I am with life,kids just running mommy errand. SPICY IS MY GET AWAY FROM THE REAL WORLD LOL. Miss the spamming days.. many more years Spicy. ??? @sunny. Don't worry. When you are ready don't forget to tell us the good news. My mothers day card. My son loves that I'm lazy LMAO???. Thats so sweet, he made you a card! Downtown Minneapolis is CRAZY with all kind of SB events happening.I wanna run into JT though ??? or the gorgeous Taylor Hill and Gisele ??. Before Love is a perfect . Now Money wins all barrier everything in her mind. No money No honey. Happy birthday America!! Have fun and be safe my fellow Spicy members.
? Happy 13th SPICY Forum ? 13 years , Wow !! Busy schedules,lots of running around with 2 children I'm still here lol. This is my.escape paradise hehe. Happy anniversary Spicy forum. I never like clowns. If I ever see you I'm gonna run you over,if you aren't down I'm backing up and running you over again till you are down. Word. I absolutely cannot be near clowns. 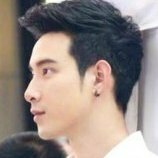 Ch3 blocked their lakorn. I'm waiting to watch Naree rissaya. That's bS. What do you mean blocked? I can still watch the Lakorns. Ch3 didn't block the videos for Naree rissaya.....they just made it private. They're probably going to re-upload it soon. Thanks. I hope so. Why all sudden make it private? Oooh really? No wonder I haven't got any new videos from Ch3!